Is Behavioural Science Key To Effective Marketing? In the book, The Growth Strategy That’s Being Ignored, Paul Rouke and other contributors argue that for conversion rate optimisation (CRO) to be a significant driver of growth a customer centric approach needs to be embedded into the company’s culture. This need to come from the C-suite down and requires aligning the customer experience with visitor needs and motivations. “We need to re-align optimisation to the user experience. Understanding our users, listening to their feedback and empathising with their needs is the only way to truly understand what needs to be optimised.” Dr David Darmanin, Founder & CEO of Hotjar – (from The Growth Strategy That’s Being Ignored). However, whilst this sounds all well and good, CRO can only be a driver of genuine business growth if it first persuades more visitors to achieve their goals. The business’s goals should of course be aligned to customer goals. Think about it, improving awareness, engagement, intent or the overall customer experience doesn’t matter two hoots unless you persuade more users to convert in a profitable and sustainable way. “Conversion rates area a measure of your ability to persuade visitors to take the action you want them to take. They’re a reflection of your effectiveness at satisfiying customers. For you to achieve your goals, visitors must first achieve theirs.” Bryan Eisenberg, Founder & CMO at IdealSpot – – (from The Growth Strategy That’s Being Ignored). To persuade users we need to understand the nature of human decision making. Behavioural science and behavioural economics in particular can helps us identify how the mind operates and what mechanisms are involved in human decision making. Behavioural economics can also guide us on the forces that shape behaviour and the extent to which emotions, context, past experience and social influence drive decision making. Marketers can use behavioural economics to design strategies for behavioural change. Neuroscience is making great advances in understanding how our brains respond to different types of stimulus. Most of these factors are largely ignored by the field of economics and yet much of marketing theory has been influenced by economic thinking. Behavioural economics though seeks to address these shortcomings and help us better model human behaviour. For example are people really rational, independent thinkers? In the book Herd, Mark Earls points out that humans are “super social apes” and we constantly monitor and copy the behaviour of others. We align with groups we wish to associate with (herd theory) or copy others to learn new ideas and behaviour (social learning). This means we are automatically drawn towards brands that people in our social networks buy. In this respect we are almost the exact opposite of the agents that economists assume we are. Behavioural economics allows us to gain a deeper understanding of the decision making process and the factors that influence user behaviour. So what are the practical implications and how can we use them to improve the persuasiveness of our digital marketing activity? Below are six key insights and implications from behavioural economics for CRO. 1. What About The Subconscious Brain? Marketing is often ineffective because it fails to target both the conscious (rational) and non-conscious parts of the brain to get an emotional response. A purely rational argument may not communicate to the part of the mind that makes most of our decisions. Behavioural economics cannot save a poorly designed product or weak value proposition, but it can hep us understand how our brains process marketing messages . Indeed, sometimes a good rational message can also result in strong emotional response. For example, Ronseal’s quick drying woodstain’s strapline; “Does exactly what is say on the tin.” This is a rational message that gives the buyer reassurance that they won’t regret their decision. Avoiding regret is a powerful motivator as people hate to feel such an emotion. The psychologists Daniel Kahneman and Amos Tversky have shown that the mind works at two levels. System 1 is our fast, intuitive, emotional and largely automatic brain which is continuously running in the background. It also largely steers our other level of thinking, System 2. This is a slow, analytical, and deliberative brain. We use System 2 for self-control and cognitive effort, such as resolving complex problems and mental maths. 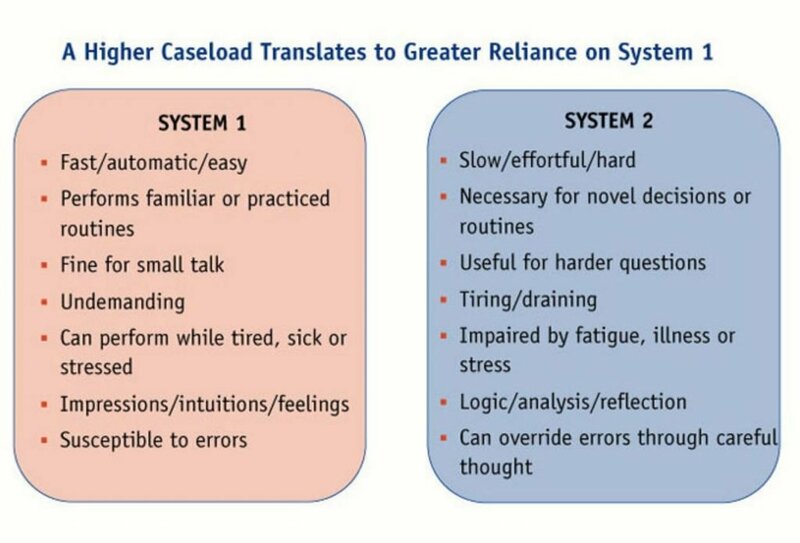 However, because System 2 quickly depletes a shared pool of cognitive energy we use it sparingly and so we rely on System 1 for most simple decisions. This concept of the mind has been further supported by Professor Gerald Zaltman whose research suggests that up to 95% of our purchase decisions are made by our non-conscious brain. Roger Dooley also makes the point in the book The Growth Strategy That’s Being Ignored. “Today, there are many poorly optimised websites that even elementary CRO approaches can help. Once the basics are fixed, though, more sophisticated approaches will be needed to keep improving conversion rates. A key part of these better tactics will be to focus on the customer’s non-conscious decision-making using brain and behavioural science.” Roger Dooley, Founder at Dooley Direct LLC – (from The Growth Strategy That’s Being Ignored). The explosion of literature about the non-conscious part of the brain has led some marketers to focus purely on emotional messages. This is misguided as a strong explicit goal forms the foundation of relevance and motivation to purchase. 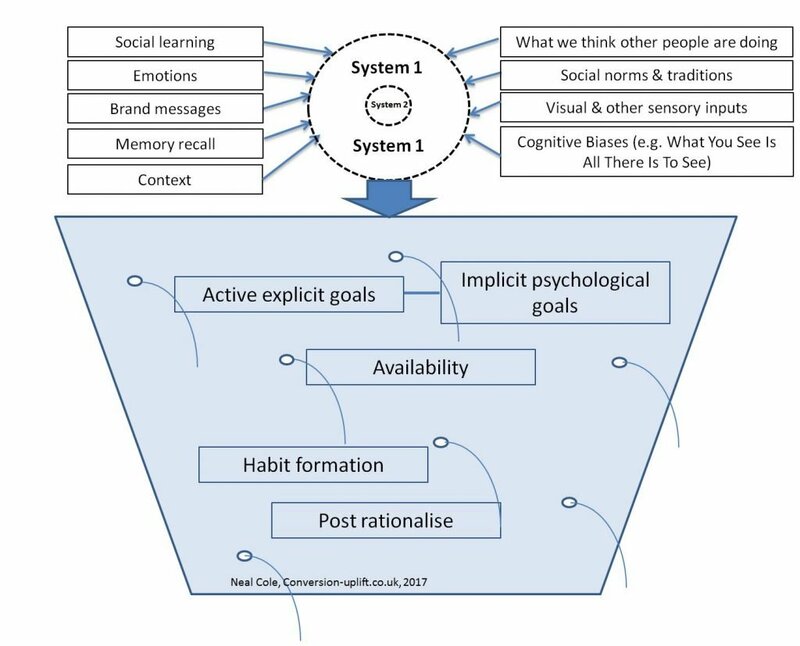 Behavioural economics indicates that we need to establish a strong connection between explicit (rational) and implicit (psychological) goals to avoid conflict between the System 1 and 2. Targeting the non-conscious brain requires thinking about our underlying motivations that we often don’t express but are important drivers of behaviour. This means considering how people want to feel about their actions and the brands they buy. Even if people are not consciously aware of a message that targets an implicit goal, research (Ruud Custers & Henk Aarts, 2010) indicates that it can still become more accessible in a person’s memory and so the brand has more chance of being top of mind. “Implicitly activated goals not only make products or brands more accessible, they also result in a more positive attitude.” – Phil Barden, Decoded. Lean Cuisine for example used underlying motivations to create an ad “#WeighThis” which went viral. The ad creators realised that eating healthy, low fat food is often not about your weight. People make an effort to take care of what they eat for a purpose. Psychologically they want to feel good about themselves. As a consequence the ad focused on getting people to talk about what really matters in their lives. Rather than using scales to measure their weight they were asked to weigh what they are most proud about their life. Behavioural economics suggests asking people direct questions about why they purchased a product or made a decision is fundamentally flawed. Customers don’t have full access to their underlying motivations and post-rationalise when asked to explain why they made a certain decision. Focus groups are the biggest failure here as you also have group dynamics involved which makes feedback almost impossible to interpret. They are often the default method of research and appear to be popular because people enjoy watching a group of strangers rationalise about their product or creative. But in reality we don’t sit in a bubble with a bunch of strangers trying to say clever things about something we don’t really care that much about. Neither is it normal to talk about digital content when we know the person who thought up the idea may be watching us behind a one-way mirror. This is as about as far from reality as anything we could think up in our wildest dreams. Behavioural economics indicates that observing users (e.g. usability research), listening (e.g. qualitative research) and using implicit research methods (e.g. Implicit Association Test) are more reliable methods of research as they don’t rely on self-reporting. Direct questioning at the time of a user visit can be useful to obtain feedback on the user experience, but be aware of the limitations of such research. For understanding how people react to new content or new products the most reliable method is a controlled experiment. The scientific method used for A/B testing for instance allows us to measure real changes in behaviour rather than rely on biased and flawed research techniques. Brands are objects in our minds and relatively few brands connect at an emotional level. We respond emotionally to brands because they help us meet psychological goals not because we are particularly loyal to them. 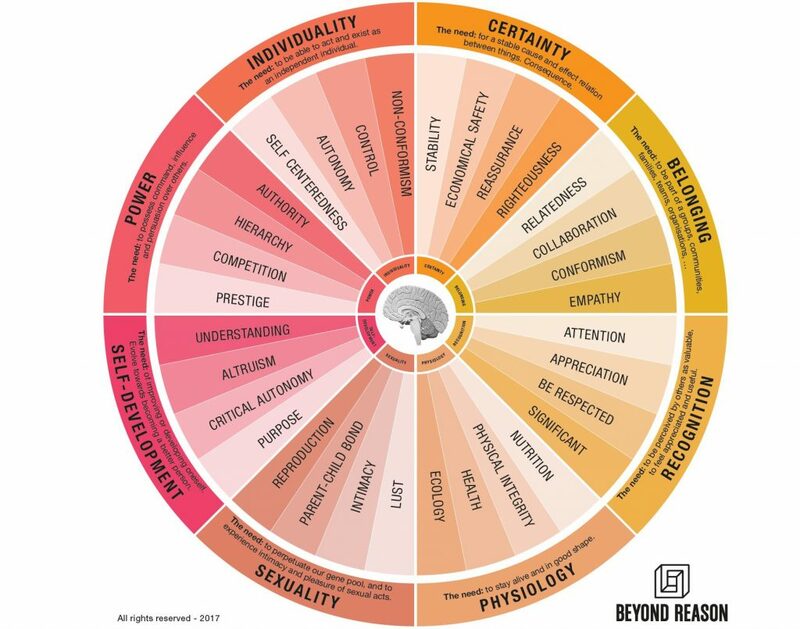 Brands, however, can use these psychological territories to differentiate themselves from competitors and to improve their appeal to customers. Neuroscience research (Berns & Moore, 2012) indicates that products and services activate the reward system of our brain. Indeed, this is more predictive of future sales than subjective likeability and the intensity of the brain’s response is related to the value we expect the product to deliver. A neuroscientific study (Carolyn Yoon, 2006) indicated that brands are simply objects to the brain and brands are not perceived to be people with personality traits. People buy products to achieve explicit (rational) goals which relate to the product category. Brands on the other hand help us meet implicit or psychological goals. People respond emotionally to a brand when it helps them achieve a goal and not necessarily because we feel deeply attached to it. However, the more important a goal is the stronger we relate to brands that are relevant to that goal. Marketing consultancy Beyond Reason combined findings from behavioural economics, psychology and neuroscience to create a comprehensive model of implicit motivations. Research shows that implicit goals focus our attention so that even subconsciously we notice brands that may help us achieve an active psychological goal. Brands that we think are most likely to help us achieve a goal get the largest share of our attention. This may explain the attraction of guarantees and a compelling value proposition that promises a desired outcome. Behavioural science shows that our brains respond to the difference between reward (i.e. achieving goals) and the pain (i.e. the price) we feel when considering a purchase. When the difference is sufficiently large we will be open to purchasing a product. The net value can be changed by increasing the expected reward (i.e. improve the benefits or performance of the product) and or reducing the pain (i.e. lower the price). Another way to improve the perceived value of a product is to use social proof to demonstrate how popular the brand is. Use the Beyond Reason implicit goal map to review your value proposition and messages on key pages. Beyond Reason’s implicit research methodology identifies and provides a weight to each implicit purchase motivation so that you can align your value proposition and communications to your customers’ psychological goals. You can then use A/B testing to evaluate how communicating these psychological goals influence conversions on your site or app. People like what they buy, not buy what they like. Providing reasons, both rational and emotional can help to persuade visitors that what you offer is what they are looking for. However, the serial position effect suggests that you should position your most important points at the beginning and end of a list. Don’t list your benefits in descending order of importance because people have a tendency to remember the first and last items in a list. Focus on habit formation or disrupting existing habits. Research by the late Andrew Ehrenberg suggested that most brand loyalty is driven by habits and availability, not by a strong emotional attachment to the product. Behavioural economics indicates that marketing strategy should be designed around people’s habits. It is easier to piggy back onto an existing habit rather than create a new one and so look to see how your product or service relates to everyday behaviour. 3. The sales funnel is a myth! Decision making is not a linear process as suggested by many models of consumer behaviour. Behavioural economics shows how decision making is much more complicated and decisions are not conducted in isolation from what else is happening around us. This means that people are easily distracted because they have multiple goals battling for attention at any one time. The traditional sales funnel suggests we act rationally and go through a mythical sequence of steps before purchasing. In reality our brains are constantly bombarded by stimuli and as a coping mechanism our brain creates a cognitive illusion that makes us feel in control and rational. However, this process filters out information that our brains deem to be unimportant and distorts other inputs to protect and enhance our self-esteem. In these circumstances a more appropriate analogy would be a leaking bucket that is standing on a ship’s deck. The water in the bucket is anything but tranquil as it is constantly being churned up by emotions, incomplete and inaccurate memories, social interactions and many other factors that can instantly cause us to change course. In figure 1 below I have summarised all the key elements that behavioural economics identifies as influencing behaviour. 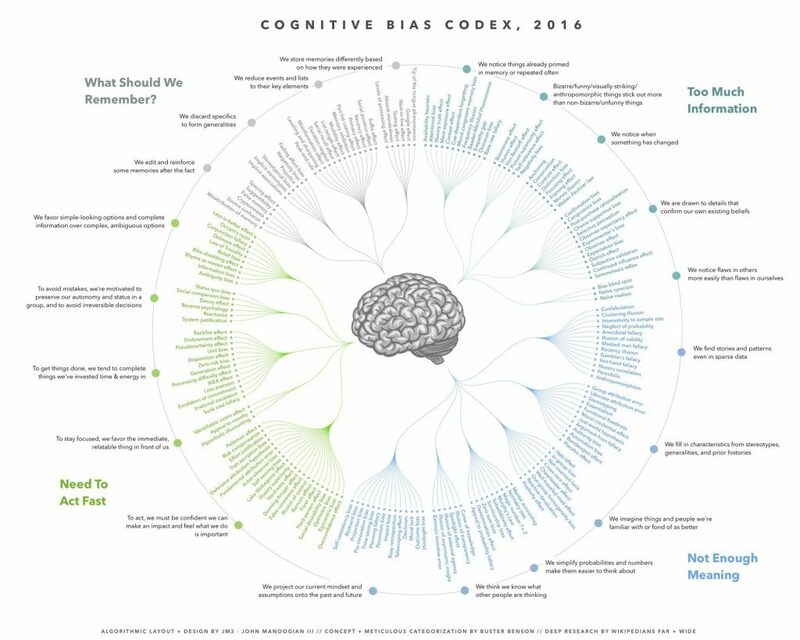 Cognitive biases such as confirmation bias, the backfire effect and bias blind spot shape our view of the world and make it very difficult for brands to change strongly held beliefs. What this suggests is that brands may be wasting their time and money by targeting existing customers of large competitors as they are unlikely to alter their opinions and habits unless something seriously goes wrong. Don’t use rational arguments to change people’s beliefs because often this will just result in those ideas becoming even more entrenched. Brands can grow faster if they focus on increasing overall penetration by targeting visitors who are not strongly affiliated to any particular brand and use CRM activity to engage existing customers. This is supported by research published in the Journal of Advertising Research which points out that your next customer is likely to be your most profitable visitor because average basket values increases as a brand franchise grows in size. The insight here is to be less concerned about what your competitors are doing and put more effort into communicating a compelling proposition to new users and visitors to your site. “Brands need to target inclusively and stand for a vivid, clear but broadly appealing benefit. A narrow, exclusive focus on the ‘most profitable’ households is a recipe for stagnation and decline, not for brand health.” Journal of Advertising Research, 2002. Repeat key messages at key stages of the user journey to improve the likelihood that visitors will notice them. Repetition also plays to the availability heuristic which means we are more likely to believe something that is familiar to us. Because people are extremely social beings we have highly developed and complex social networks which influence our behaviour. We are constantly thinking about or observing the behaviour of others. Analysis of how behaviour and ideas disperse through populations suggest that a majority of consumer purchases are probably shaped by interactions with other people. Whether it is the brands our parents purchased when we were young, what our colleagues talk about at work or the latest game that our Facebook friends are playing. These interactions are key to many of the choices we make and often we are not even consciously aware of how others influence us. Indeed, to influence mass behaviour Mark Earls argues that we need to stop thinking about customers in the “I” perspective and begin considering them part of social networks and tribes of “Us”. He uses the analogy of trying to predict how a fire spreads through a forest. We wouldn’t concern ourselves with the characteristics of an individual tree and focus on a tree in isolation. Instead we consider how trees are connected to each other and how the landscape might influence the spread of the fire. People often conform to trends or fads, and may even ignore their own beliefs because they don’t want to miss out (i.e. loss aversion) on what everyone else is doing (see bandwagon effect). Use social proof (e.g. Facebook followers, customer numbers and testimonials) to communicate how popular your brand is to benefit from this phenomena. Ratings and reviews are especially important when people are faced with a large number of similar options as they often don’t have the time or expertise to evaluate each item. Here social proof acts a short-cut for determining which providers they can trust. 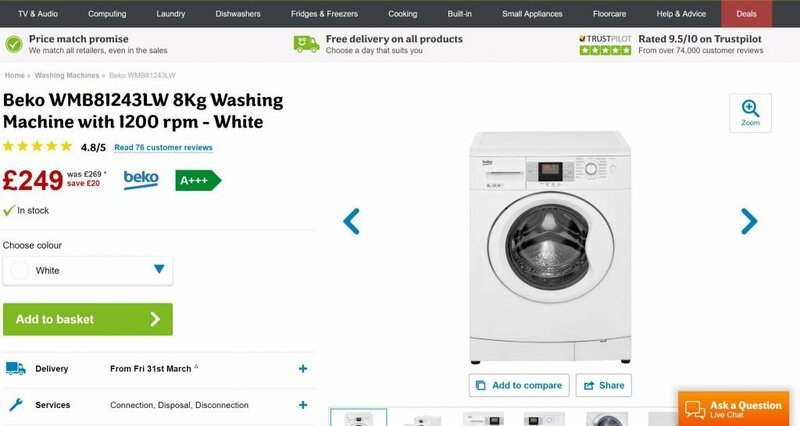 com effectively uses the Trustpilot rating platform with a prominent site rating in the header and clear customer rating and review information just above the price on the product page. When you faced with a number of similar options, such as pricing plans, people find it difficult to decide between them. One way behavioural economics suggests you can make it easier for users is to indicate which plan is your customers’ most popular choice. Many visitors will select the most popular plan because it is seen as a ‘safe option’ when faced with uncertainty. 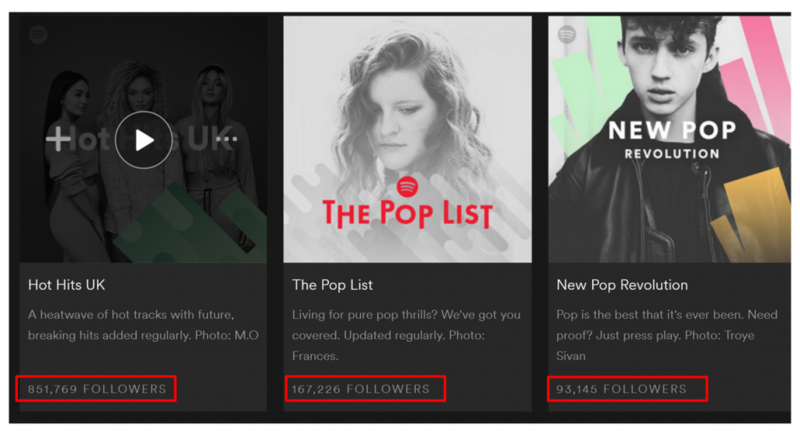 Spotify extensively utilise the bandwagon effect in their music app by displaying how many people are following a song, album, artist or playlist. This encourages users to explore new music and build their own playlists. Such behaviour improves user engagement and increases the potential value of customers. People also consciously copy the behaviour of others when they want to be associated with like-minded people and participate in similar experiences. Use customer research to understand what beliefs and attitudes are most important to your visitors and align your behaviour and business ethics accordingly. 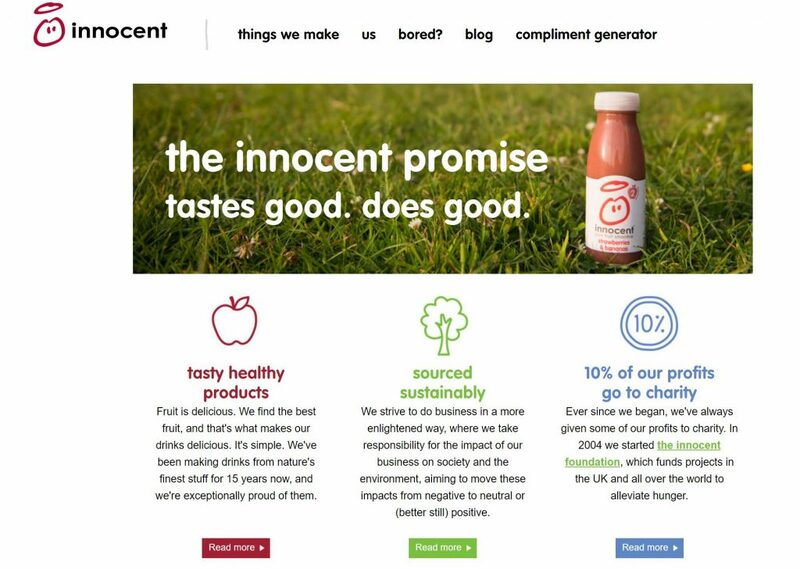 For example, Innocent drinks sell a range of premium smoothies to a health conscious audience. However, to communicate its high ethical standards it has a brand promise to be socially responsible in how it sources its ingredients and it guarantees to give 10% of its profits to charities which fund projects that alleviate hunger around the world. This socially responsible stance fits well with many of its customers and probably helps it to maintain a premium price. Be careful about social norms and traditions when entering a new market or launching a new product. When Apple launched the original iPhone in Japan in 2008 it struggled to sell because it didn’t conform to market norms. By 2008 Japanese consumers were already accustomed taking videos and watching TV shows on their smartphones. The iPhone did not even have a video camera or the ability to include chips for debit card transactions or train passes. In Japan many people use trains to get about and credit cards are rarely accepted. 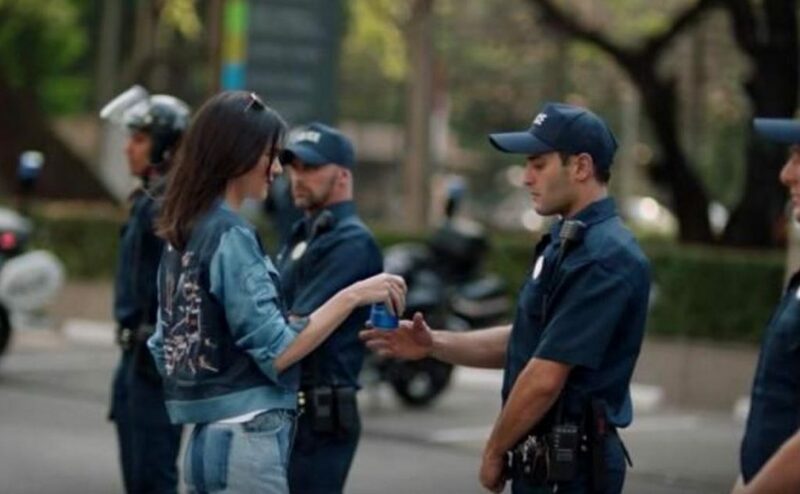 Pepsi broke a social norm with the Kendall Jenner ad as they tried to use political protest for commercial gain. By attempting to co-opt a movement of political resistance and mimic anti-Trump and Black Lives Matter protests, Pepsi over stepped what was perceived to be acceptable by many people. Most of the time people are satisfiers rather than looking to maximise economic utility. We don’t have the time or resources to look for “ideal” solutions. Behavioural economics tells us that most people are not seeking perfection when making decisions and because of loss aversion we are more concerned about not feeling regret. As a result most of the time we are probably content with something that is in the third quartile. Avoid using words to describe your offer as “ideal” or “perfect” as this is not aligned with real user behaviour. People want to know who can be trusted rather than if your product will change their lives. Everything is relative. People automatically want to compare offers because they don’t necessarily know what above average looks like. Including comparative information on your site which includes some benefits where you are inferior to your competitors can help build confidence in your brand. People understand it is rare to find something that is better in every aspect and value honesty in the people they deal with. An independent source for comparative information can carry further weight. Offer money back guarantees or free returns to demonstrates confidence in your product. This also reduces the perceived risk of the customer making a mistake and feeling regret. Neuroscience research has indicated that an excessive price activates a part of the brain called the insula. This is normally a part of the brain associated with experiencing pain which suggest the people can suffer from a form of mental pain when considering the cost of an item. Free trial offers and buy one, get one free offers are good strategies for reducing pain felt due to the price of an item. This also plays to our human tendency to be loss averse. People fear loss greater than a gain and are also attracted to free or discounted offers because they hate the feeling of regret when they miss out on something appealing. Delaying payment can also significantly improve a user’s likelihood to convert because a payment in the future is perceived to be worth less than a cost immediately incurred. 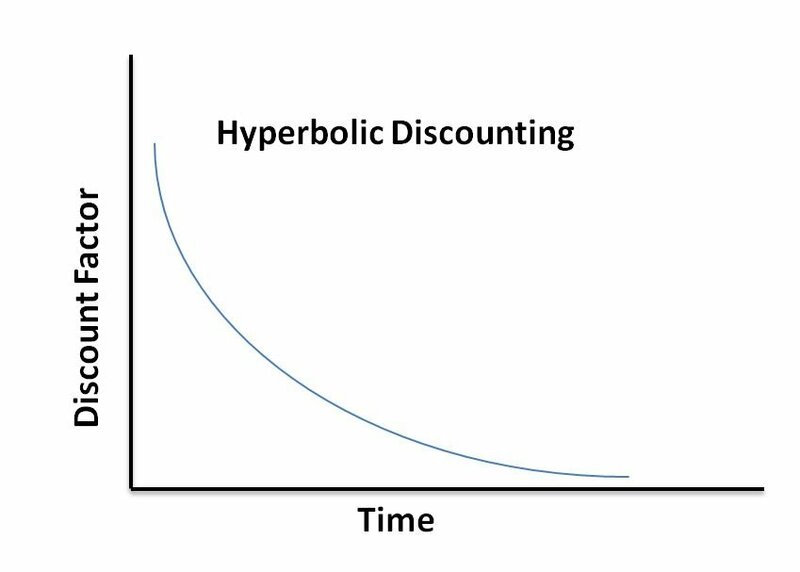 (see hyperbolic discounting). Ecommerce stores routinely benefit from this phenomena by using buy now, pay later promotions and by allowing customers to pay in monthly instalments. 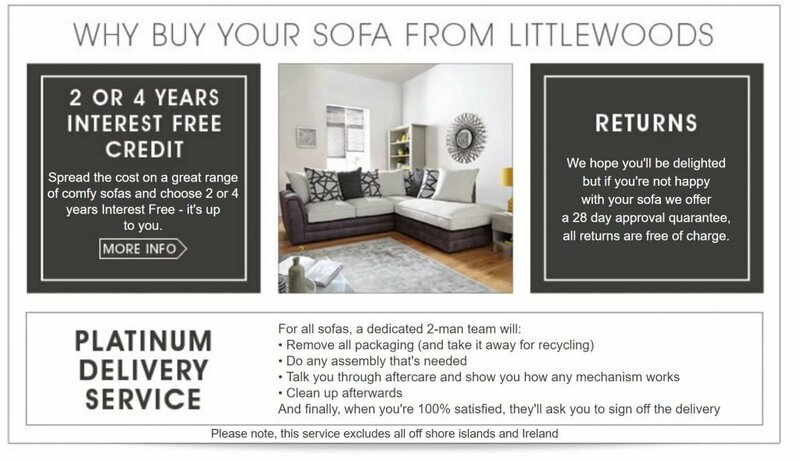 Littlewoods.com is very effective at using the buy now pay later proposition to reduce the pain of a purchase and this allows the e-commerce retailer to charge a significant premium for products on its site. Behavioural economics tells us that brands can reduce the pain from a payment by using the concept of mental accounting. Brands can achieve this by associating a purchase with an existing household budget. People have a tendency to allocate money into separate subjective pots, such as house, weekly shop, holiday, savings, windfall gains and housekeeping money. They tend to be more willing to dip into some accounts, such as housekeeping and windfalls, than others, such as savings or house (i.e. rent or mortgage). 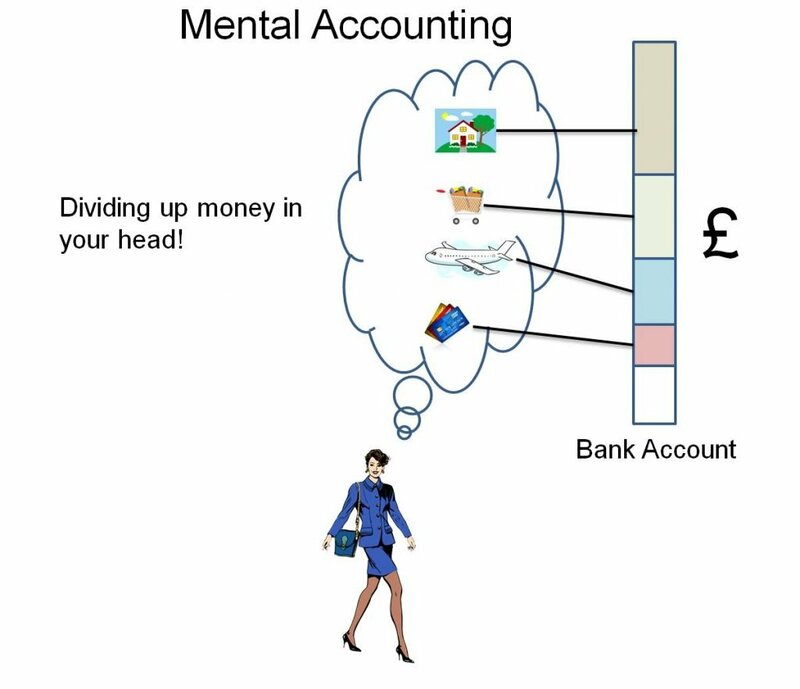 To benefit from mental accounting brands can seek to position their product or service as naturally coming from an appropriate and easily accessible mental account (e.g. air freshener from weekly shopping). In addition brands could allow customers hold a surplus balance or to allocate items to different accounts (e.g. banking apps that allow budget setting). This can help people manage expenditure according to their mental accounts. 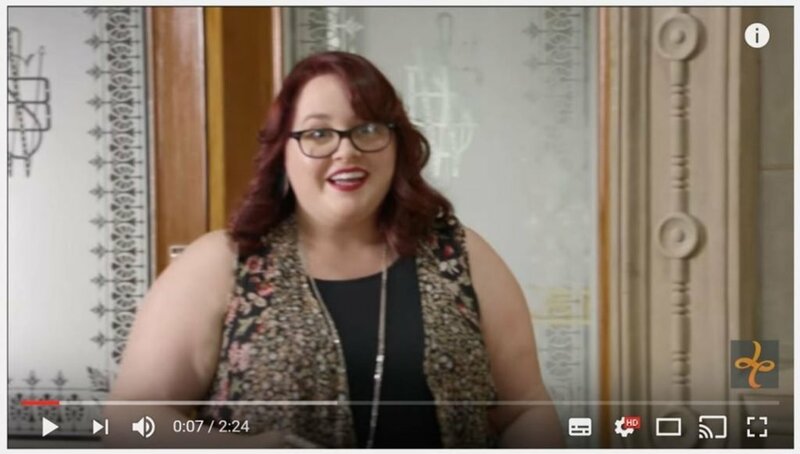 Amazon uses mental accounting with Amazon Prime Reload, a rewards program which encourages people to sign up to Prime and hold a surplus balance on their account. Prime members get 2% back on purchases when they first pre-fund their Amazon Balance using a debit card. 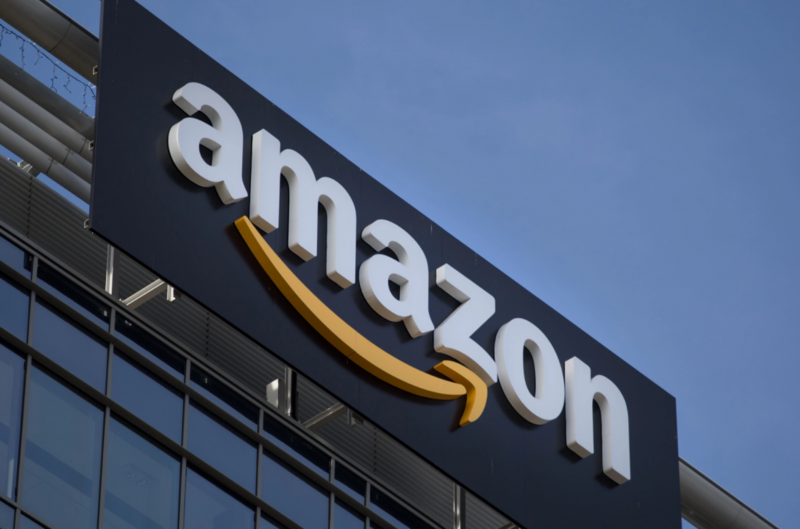 This may encourage people to load large amounts into their Amazon Balance to avoid ever having to pay directly for an item through their debit or credit card. By creating an ‘Amazon account’ this may encourage more frequent and impulse purchasing if the customer maintains a surplus balance. It makes it much easier for people to justify a purchase when the money has already been allocated to an existing account. 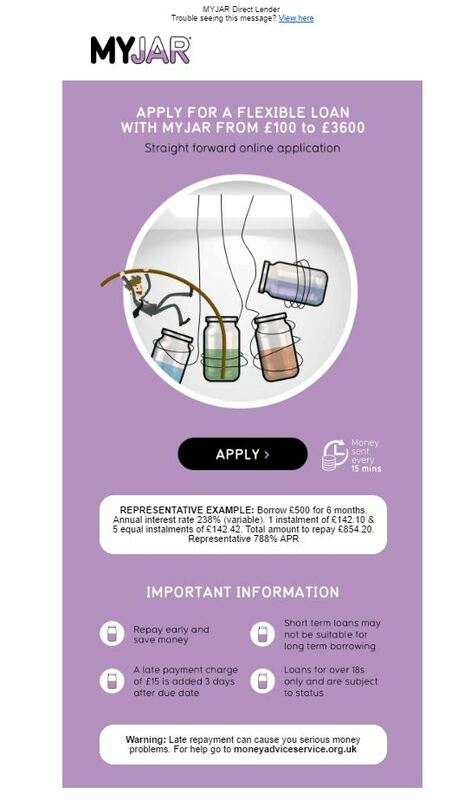 MYJAR.com uses its brand name to associate itself with the mental accounting concept because in the UK it is still common practice to keep spare change or money for a specific purpose in jars. Traditionally it was common to use jam jars to store cash for different needs (e.g. beer money and milk money). Behavioural economics provides us with a framework and language to create strategies for behavioural change. Behavioural economics provides many opportunities for us to be more persuasive online. Roger Dooley is correct in suggesting that we need to be better at targeting the non-conscious brain because this makes most decisions. However, neither should we forget to link the emotional with rational reasons why we buy as without System 2 thinking we may lack substance. Beyond Reason’s implicit motivations model provides valuable insight into how we should discuss brand positioning. Many brands have similar features and benefits, but we can use implicit motivators to have informed discussions about how to best differentiate our brand using deep psychological and emotional goals. The importance of social interaction cannot be overstated. Brands are nothing without human interaction, whether between customers or with staff via digital channels or offline conversations. People use the popularity of your site as a short-cut to deciding whether they can trust you. Social influence should, therefore, be one of your strongest strategies for influencing visitors to engage and convert. As well as seeking to increase the value of your brand (e.g. through product enhancements) behavioural economics suggests we also look at the pain of price. It is important not to look at these factors in isolation because it is the net difference between the perceived value and the cost of an item that determines likelihood to purchase. Thank you for reading my post and I hope it has given you some ideas on how to improve your site and generate hypothesis for A/B and multivariate testing. If you found it useful please share using the social media icons below.